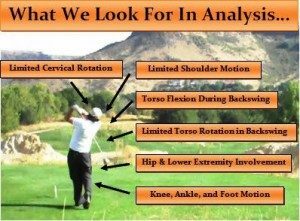 Your golf swing is all about proper body mechanics. A good golf swing requires full rotational capacity of nearly every joint involved and must be done effectively – easily – explosively and repeatedly. Many swing faults are directly attributed to poor joint mobility, resulting from soft tissue restrictions. Soft tissue includes: muscles, tendons, ligaments, nerves, and fascia. In order for a joint to move smoothly, the muscles which cross that joint must precisely coordinate contraction on one side with elongation of the other side. When the synergy or balance of any of the muscle groups is altered (usually short/tight), the movement patterns of the joint are compensated (usually restricted). Muscles become shortened due to injury, from trauma, or from repetitive strains that cause micro-tears. The scar tissue which forms at the injury site is less elastic and more fibrotic than normal tissue and cause muscles to gradually loose their stretch component.. Short tight muscles are weaker, more prone to injury and play havoc with your golf swing. Usually more than one muscle is involved. The body lays down fibrous adhesions between these muscles which restrict the muscles ability to slide freely past one another, disrupt joint mechanics and cause the muscles to feel tight. 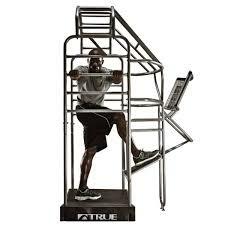 Shortened muscles and tightened joints, all combine to impair coordination, reduce power and result in further injuries. This cycle will repeat itself unless these restrictions are released. This is where Active Release Technique comes in. Common swing faults occur due to tight shoulders, tightness in the hip joints, spinal injuries and repetitive strain injuries. When shoulder rotation is restricted the body compensates with excessive spinal rotation. This can result in back injuries because most people already lack proper flexibility of the spine. This results in fat or thin shots. When the golfer attempts to compensate at the shoulder joint, the chances of a hook or slice increases. Tightness in the hip joint rotational muscles places additional strain on the rotational requirements of the shoulder or spine. Often a golfer will compensate by lifting up during the back swing and then chop down on the ball resulting in a fat shot. Wrist and elbow injuries often occurs when the body does not have the capacity to effectively compensate at either the shoulder or spine. The wrists are then over-used to drive as well as decelerate the golf club. Even individuals such as professional athletes who are constantly stretching find it difficult to release these soft tissue adhesions. This is why so many professional and amateur athletes are turning to Active Release Technique (ART) to release and remove these restrictions. Scar tissue ( or soft tissue adhesions) are several times stronger than normal tissue. Often muscle groups will literally adhere to each other, preventing the sliding necessary for full mobility. During normal stretching, the first tissue that elongates is not the scar tissue, but the normal healthy tissue. Stretching is essential at the right time, but it never releases the restrictions that often occur between two soft tissue surfaces. In order to effectiely balance your muslces and remove joint restrictions we must first identify your unique pattern of muscle imbalances. 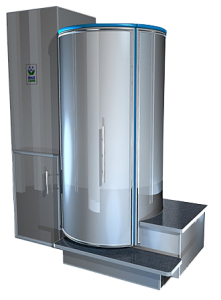 By utilizing a series of muscle balance and swing analysis tests, we can identify the exact type, extent and location of muscle restriction. 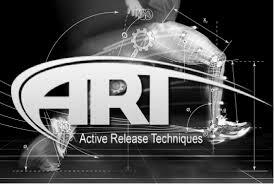 We then use A.R.T. treatments and follow-up stretches to remove and resolve these restrictions, and then stregthen the muscles to prevent re-injury.